Catalyst is a game I've been waiting for quite some time and it's one of the reasons I upgraded my PC this spring. With Catalyst the Mirror's Edge franchise has undergone a significant change, moving from a linear, Unreal Engine-powered world to an open, Frostbite-powered world. Other than that, it's not much different from the first game which really managed to impress me a few years back. 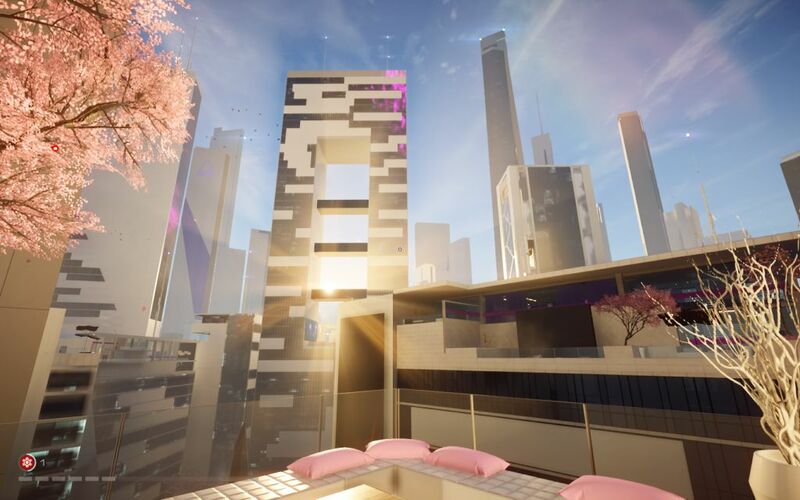 Open world or not, you'll still end up spending 90% of your time having Faith do her parkour all over Glass, a city located on the southeastern coast of a fictional, corporate-ruled country of Cascadia. The main missions are still presented to you one-by-one, like in pretty much every open-world game, but you get to do sidequests in between. These range from simple delivery missions to a bit more complicated affairs, but there's nothing terribly remarkable here. Sidequests should be treated more like challenges. Delivery and diversion missions can be very unforgiving with their strict time limits, which, of course, is a good thing, but often you're reluctant to give these missions even a try because they usually take you off your route. At the same time there's no better test of your skills, but you'll probably end up saving these for the post-game. There are also various time trials, some designed by other players, but I was never particularly interested in these. Another "social" aspect is hacking billboards to have them display your tag. These are less about speed and more about figuring out what to do and how in terms of raw gymnastics. Of all the side content I probably enjoyed these the most. There's no difficulty level as such but you can adjust the level of help the environment provides in terms of highlighting certain objects. 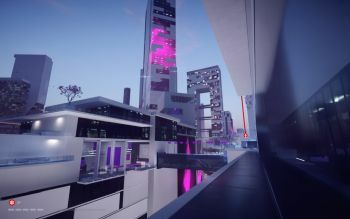 One thing I noticed is that Catalyst relies far less on trial & error than its predecessor while at the same time enabling a better flowing parkour experience in that you rarely have to stop and think what to do. 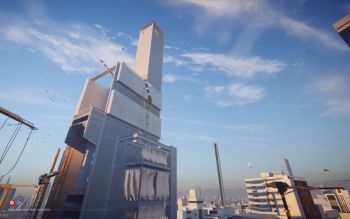 Most of the time you can just keep running and jumping off buildings knowing there's going to be something to enable you to keep going. Needless to say, sometimes this assumption turns out to be false. The story itself starts off slow, making you feel like an errand girl (which you pretty much are! ), but it picks up speed around midway through when things get personal. Still, it seems the game's open-world design compromises its ability to tell an engaging story, but then again the first game didn't have a particularly engaging story either, so who knows. 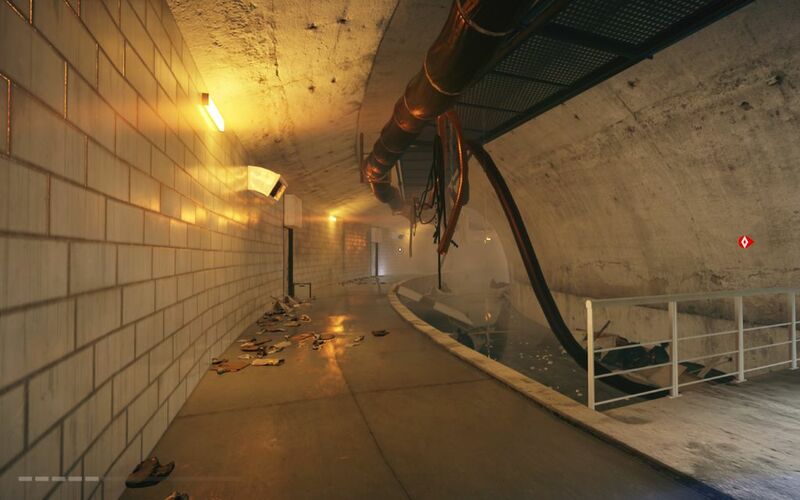 As the story progresses you unlock new gadgets with which you can explore the city further. These gadgets include the Mag Rope, which functions like Spider-Man's web-shooters. (Come to think of it, Catalyst would be a great base to build a worthy Spider-Man game on...) The story mode alone should take you more than ten hours, and with all the sidequests you may end up spending 20-30 hours playing the game, quite an improvement over its somewhat short predecessor. 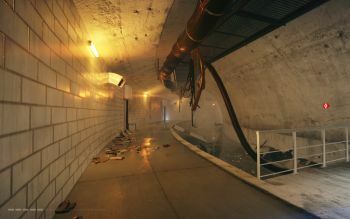 The first game was criticized for its lackluster combat. Unfortunately, combat is still mediocre even at its best. While there are some tough foes that compel you to take advantage of your surroundings, most engagements simply feel rather lame and trivial. Luckily fighting is only a tiny part of the game, and it's not even encouraged. In fact, it's more fun escaping a battle, as getting spotted often triggers a general alarm that forces you to seek shelter in a safe house or just outrun the pursuers. 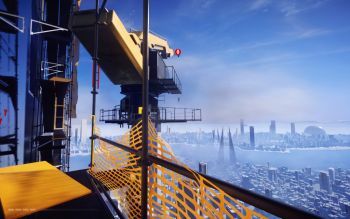 The game's visuals are awe-inspiring as one should expect: The city of Glass looks sterile and clean to the point of resembling the interiors of a hospital, and while the city reeks of extreme prosperity and welfare, you know it also serves as a facade to make people blind to their rulers' authoritarian control and totalitarian plans. While graphically impressive, there were some issues that occasionally caused blurry textures to show up while I was also prevented from messing with most of the video settings. A later patch fixed these issues but only about a week after I had finished the story mode. Even with these issues the city of Glass looked stunning everywhere I went, evoking several "I'd like to live there" moments. 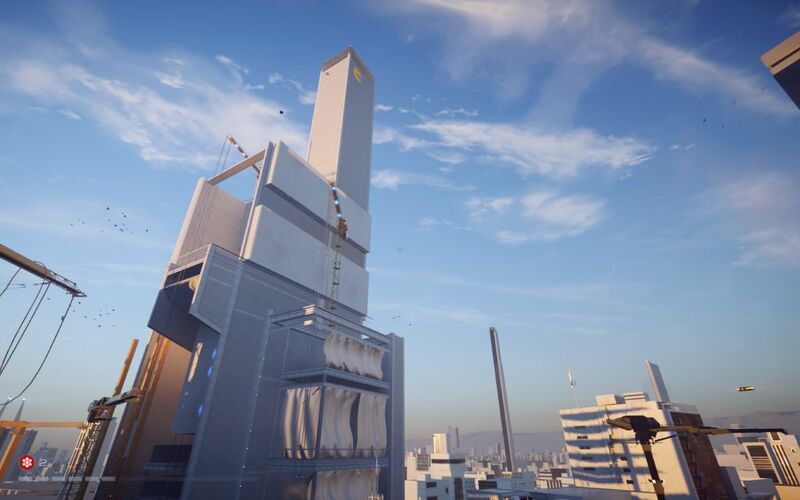 There's nothing quite like reaching the apex of a skyscraper in this game, marvelling at things in the horizon and hoping you could feel the breeze hitting your face. Moreover, the game now has a dynamic day-night cycle (but unfortunately no dynamic weather), and the game's simple, low-key music accentuates the city's soothing atmosphere. Conclusion: Catalyst is not quite as impressive as Mirror's Edge, mostly because the novelty factor is now missing. 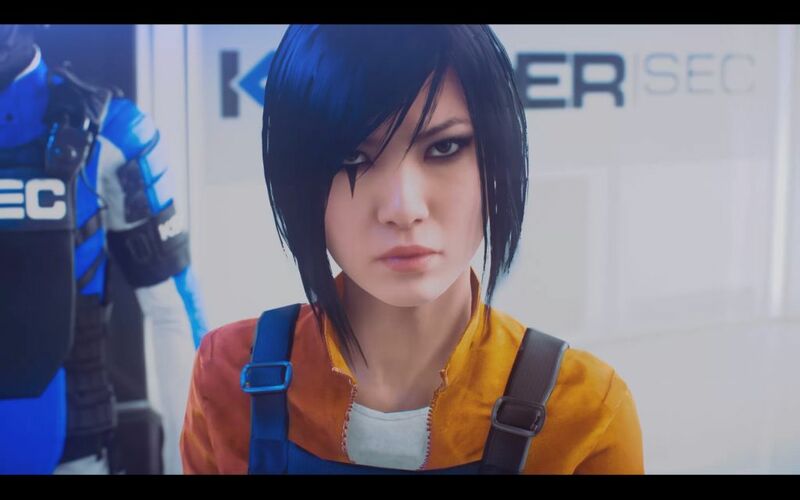 Moreover, it doesn't do much to improve upon the first game's shortcomings, namely, the story and combat. 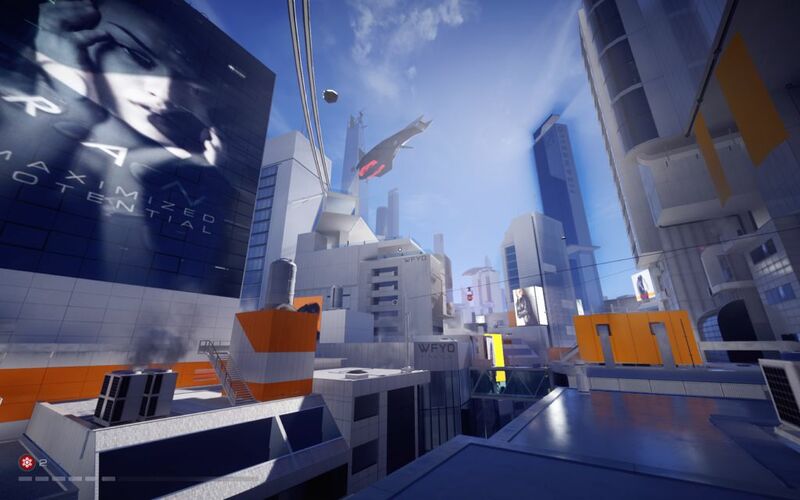 Still, Catalyst is one of those games that's fun even when you're doing nothing but standing still, getting a good look at your beautiful surroundings, or running around, feeling free as a bird and on top of your game. 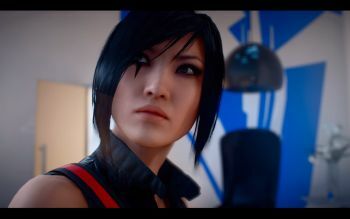 Just being in the city of Glass is an experience that beats most games on the market, and even after the story is over, you gladly seize the sidequests as an excuse to prolong your stay in that world.